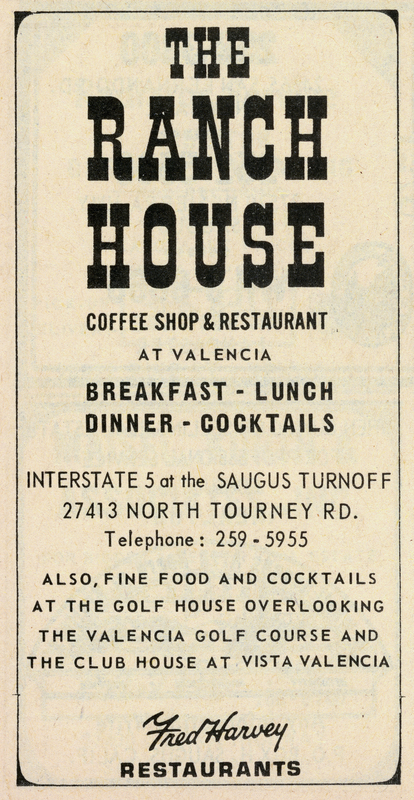 SCVHistory.com LW2862 | Valencia | The Ranch House Coffee Shop & Restaurant, 1969 Advertisement. Advertisement for The Ranch House Coffee Shop & Restaurant at Valencia, publishsed in the 1969 "City Directory" (we weren't yet an incorporated city) for Newhall, Saugus, Valencia and Canyon Country, by B&G Publications of Northridge. The restaurant was located at 27413 N. Tourney Road — on the east side of the newly completed Interstate 5 Freeway at the Saugus turnoff, which later became Magic Mountain Parkway. The Ranch House added rooms and became the Ranch House Inn, which became the Best Western Ranch House Inn, which became the Best Western Valencia Inn. It was the only game in town for banquets and Chamber of Commerce functions until the Hyatt Valenica Hotel came along in the 1990s with a larger conference center. Previously, the biggest community events were relegated to out-of-town venues such as the Odyssey Restaurant, Knollwood Country Club and LGT Vegas in the San Fernando Valley. As of early 2017, plans call for the current 120-room, two-story ex-Ranch House Inn hotel to be demolished to make way for two new hotels — a 182-room, 75-foot-tall Residence Inn/Springhill Suites hotel, and a 108-room, 65-foot-tall Holiday Inn Express hotel. 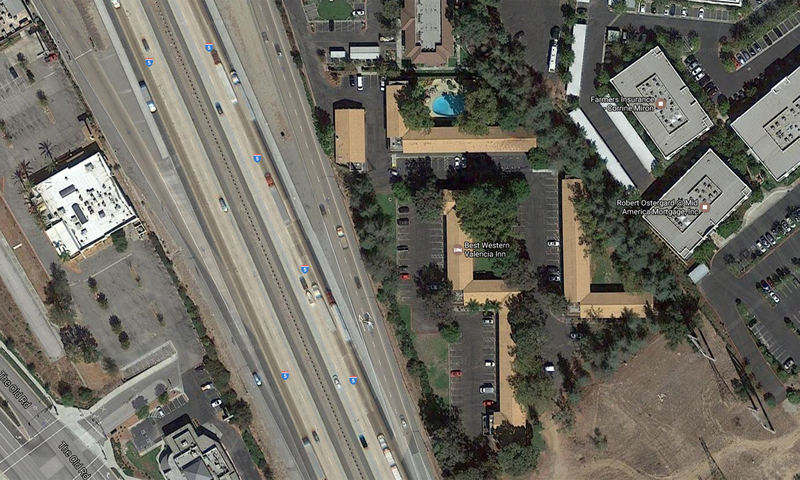 Ranch House Inn location, Google Maps image, 2017. Click to enlarge. 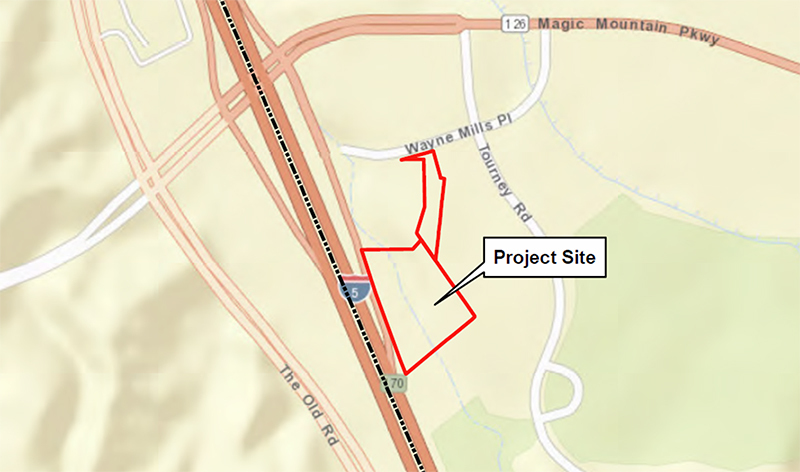 2017 planning area, City of Santa Clarita. Click to enlarge. LW2862: 9600 dpi jpeg from phone book.